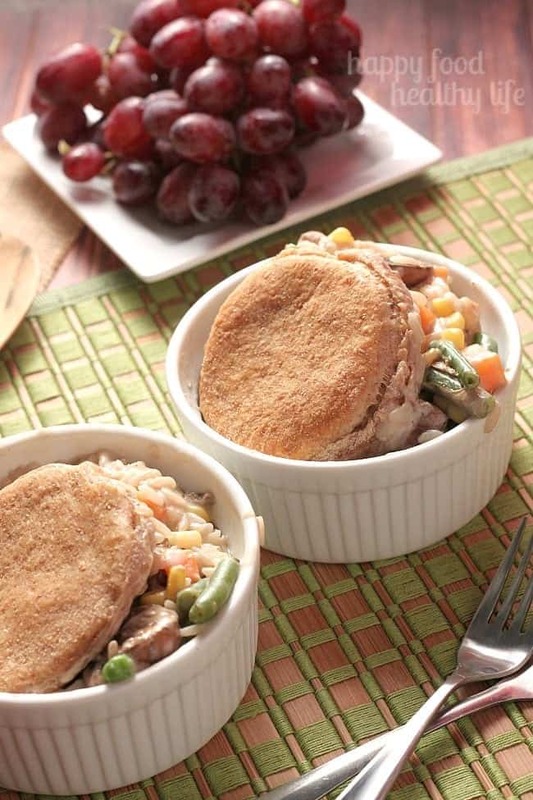 This VEGETABLE & RICE POT PIE CASSEROLE is a simple weeknight meal that comes together in just a few minutes. 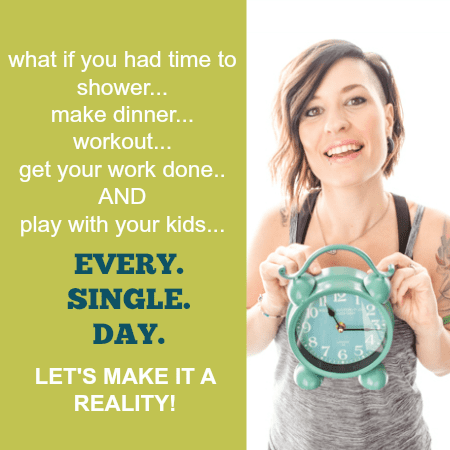 It’s so simple that your kids can even get involved. I want to talk to you for a minute about my not-so-favorite-time-of-the-day. I’ll give you a hint. It’s not breakfast time. It’s not lunch time. It’s not any of the snack times. It’s not even the time at 4 in the morning when my alarm goes off. You figure it out yet? Dinner time. Dinner time is absolutely not my favorite time of the day. For one, I’ve usually just finished working out and have no desire to do anything besides eat a brownie and then go right to sleep. Secondly, the kiddo. He’s hungry and bored and wants to eat all.the.things and play all.the.video.games while he’s whining at me in that super awesome whiny voice 7-almost-8-year-olds have. 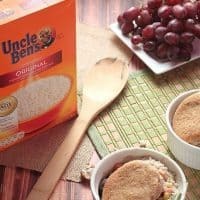 This week though, a lightbulb went off when UNCLE BEN’S ® asked me to make a recipe that my kiddo could help me with. Duh! Why didn’t I think of that? I love to get Xander involved with desserts and treats. Why couldn’t he help me with dinner as well? It takes his mind off of being hungry, keeps him occupied, and he’s more apt to enjoying dinner because he had a hand in making it happen! Total win in my book. those little hands practically erase the 7-almost-8-year-old whiney voice. 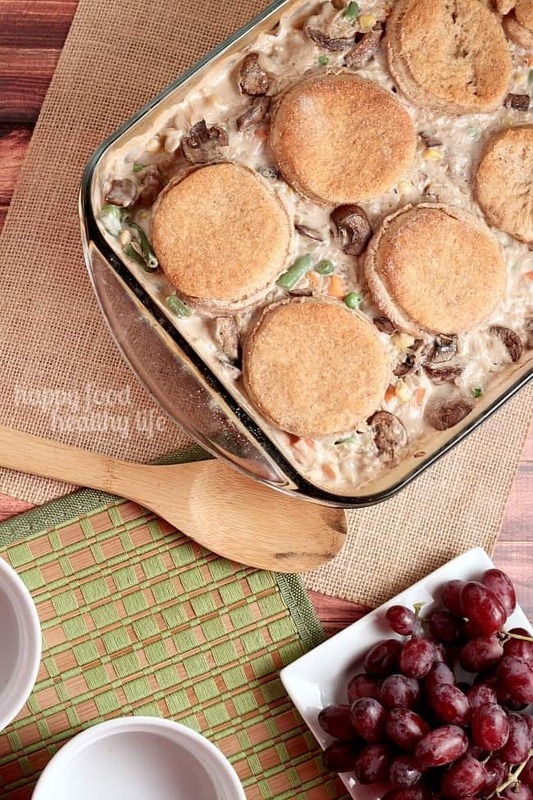 So I had all the ingredients and the recipe out for this Chicken & Rice Pot Pie that I adapted to be vegetarian-friendly. I told him to get up on the stool and start following the instructions. Honestly, 5 minutes later, it was all ready to pop in the oven for 30 minutes. So simple! I hardly even had to supervise! The only down-side is that it didn’t take long enough for the kiddo and I now had to find something else for him to do while we waited ever-so-patiently for our meal to finish. He then had to learn all about the beauty of cleaning up after himself in the kitchen. Which, in turn, amounted to more 7-almost-8-year-old whining. Want to know what didn’t cause whining though? 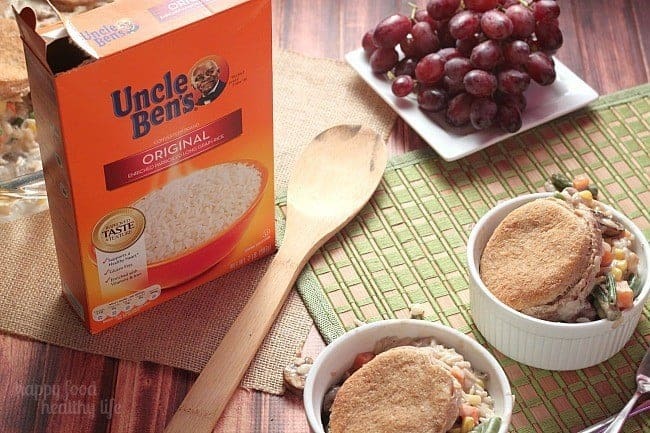 The deliciousness of this meal that started with UNCLE BEN’S RICE ®. What was one of my least favorite times of the day turned into something wonderful because of the ease of this meal, the fact that I hardly had to do anything to make it come together, and because it tasted so yummy! Creamy, but not too heavy. Definite comforting family-dinner food. 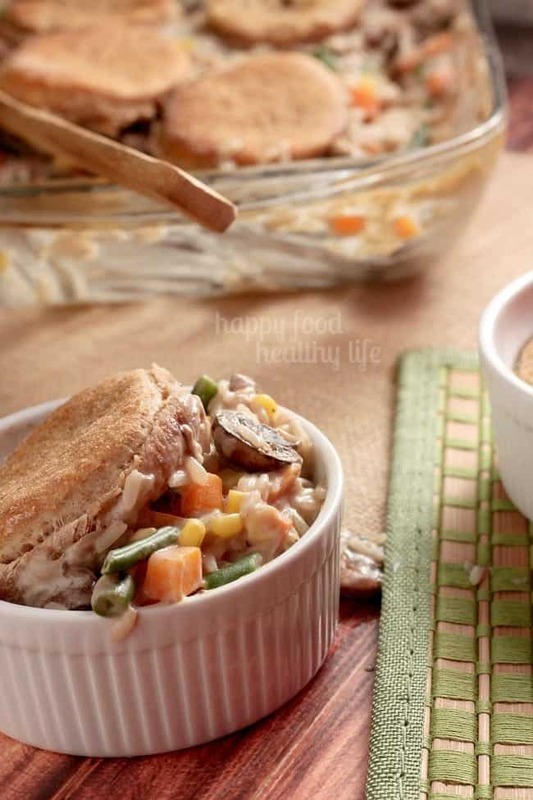 In a large bowl, stir together the rice, vegetables, pepper, salt, thyme, soup, water, milk and mushrooms. Pour into a lightly greased 9x13 baking dish. Cover with foil and bake for 30 minutes. Remove from oven, uncover, and top with dough rounds. Return to oven and bake for another 20-25 minutes, or until pastry is golden brown and filling is bubbly. I had never put rice in mine either, but I’m totally into it! This look delicious! I know it was sponsored by Uncle Ben’s, but I try to stay away from white rice. I think I’ll try it with quinoa instead. Thanks for a super quick meal! Dinnertime is my least favorite time of the day for all the same reasons! 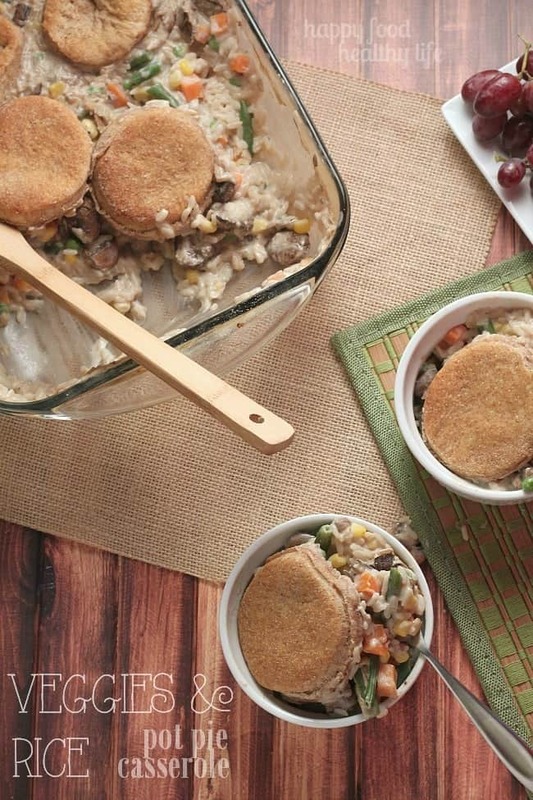 You know what Jessica, I’m a quinoa girl myself and it’s funny – I was just thinking before I read your comment that quinoa would’ve been an awesome addition to this pot pie recipe! 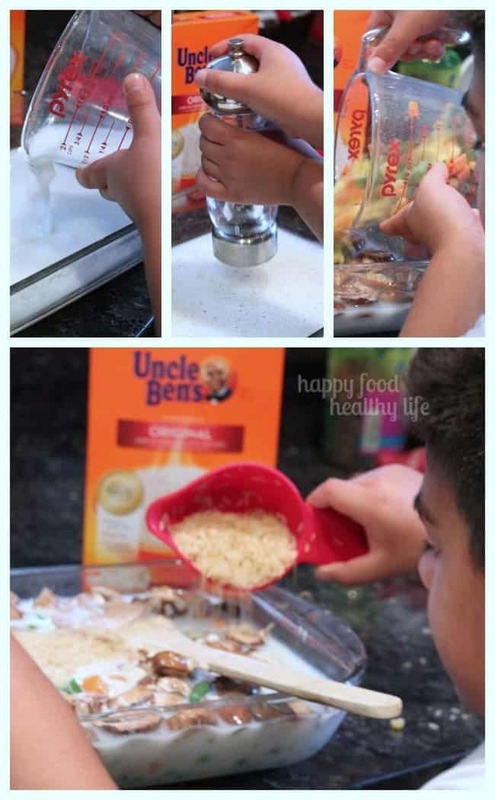 I hope it makes at least one dinner meal easier for you! He was absolutely thrilled when I told him to pull up a stool to help me out with dinner!